Home Acne What Causes Acne Scars? 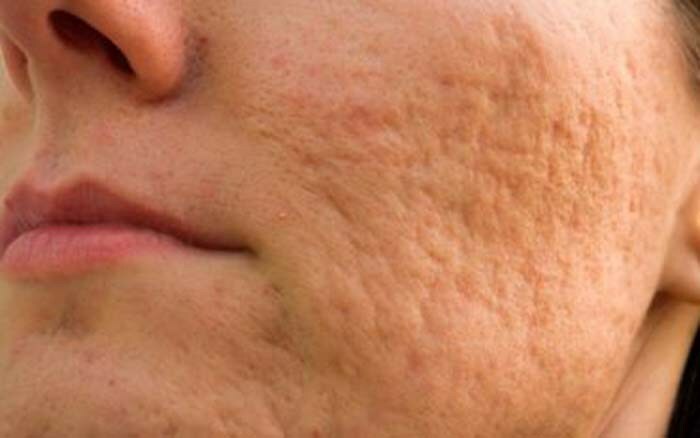 What Causes Acne Scars? Acne scars are the result of inflamed blemishes caused by skin pores engorged with excess oil, bacteria and dead skin cells. Acne scars can be treated, but the scars acne can leave behind can feel downright diabolical. As we age, acne scars often become more noticeable because our skin loses collagen. However, you have to get rid of any acne, because all new breakouts can lead to acne scars. Safe and effective treatment is available to get rid your acne scars. Treatment can diminish acne scars that cause depressions in the skin. Also safely reduce raised acne scars. Treatments include laser treatments, minor skin surgeries, fillers, and chemical peels. A dermatologist or a dermatologic surgeon can perform these treatments in a medical office. It is, however, possible to prevent acne scars with effective acne treatment. Waiting to treat acne until it becomes severe can lead to extensive scarring.